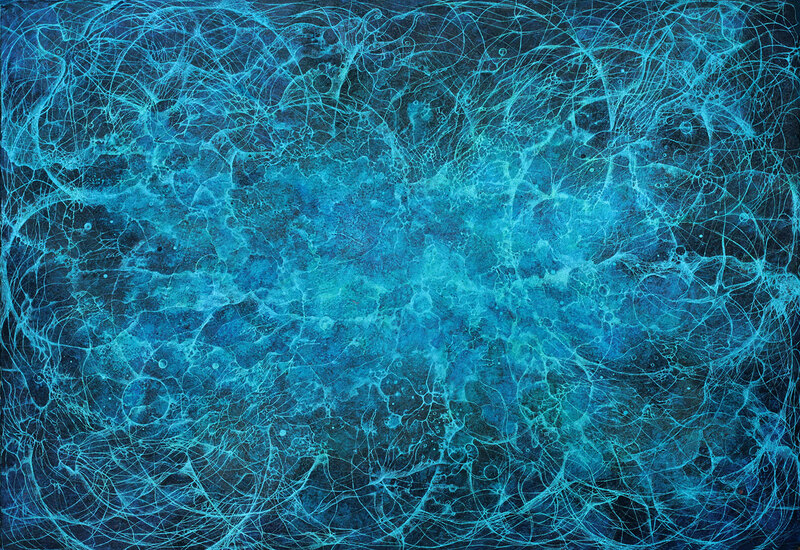 This painting is part of my series of the four classical elements of Empedocles. 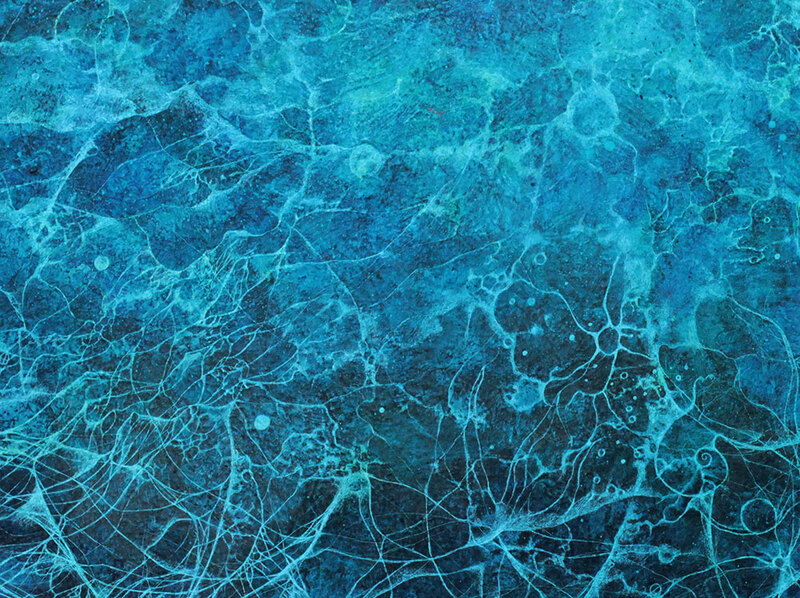 Water changes constantly in its shape, color, and texture, without beginning or end and I use the circular shape to help me represent this idea. 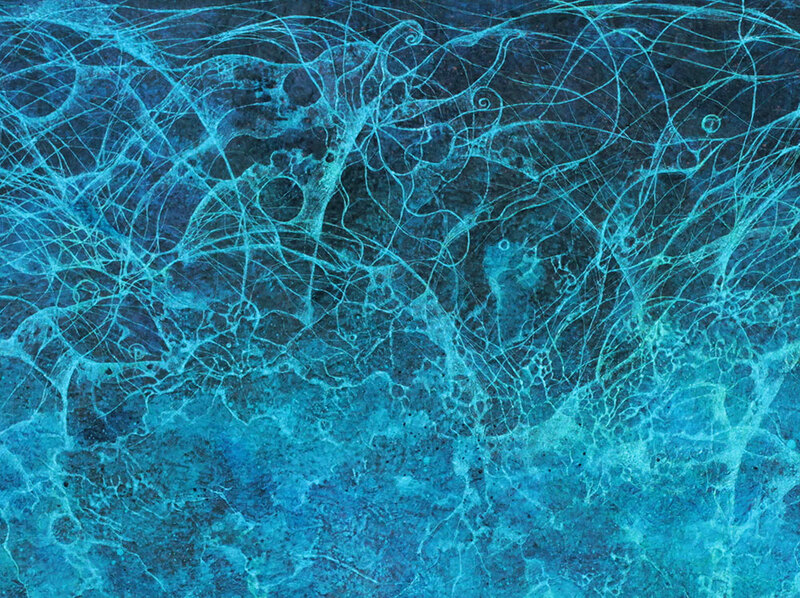 WATER – 1000 x 700 mm. Encaustic paint on paper. Framed size: 1250 x 950 mm. 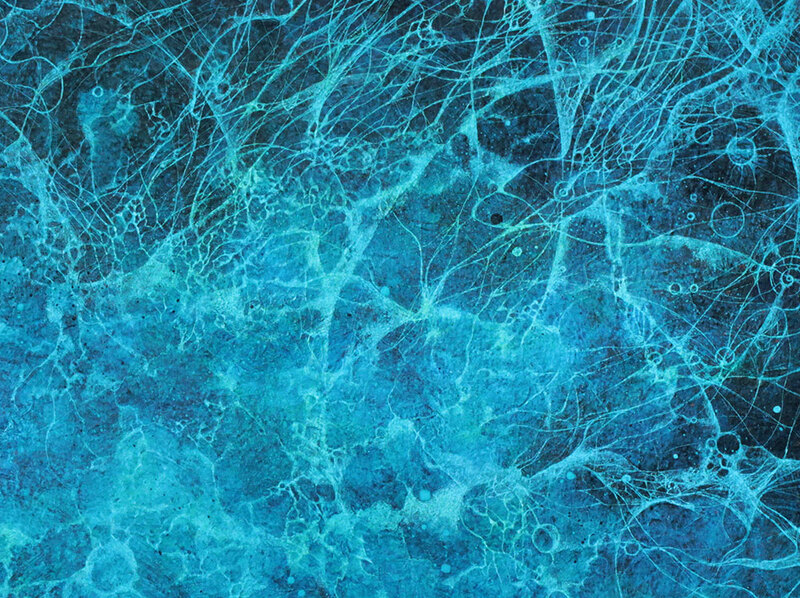 WATER – Detail. 1000 x 700 mm. Encaustic paint on paper.